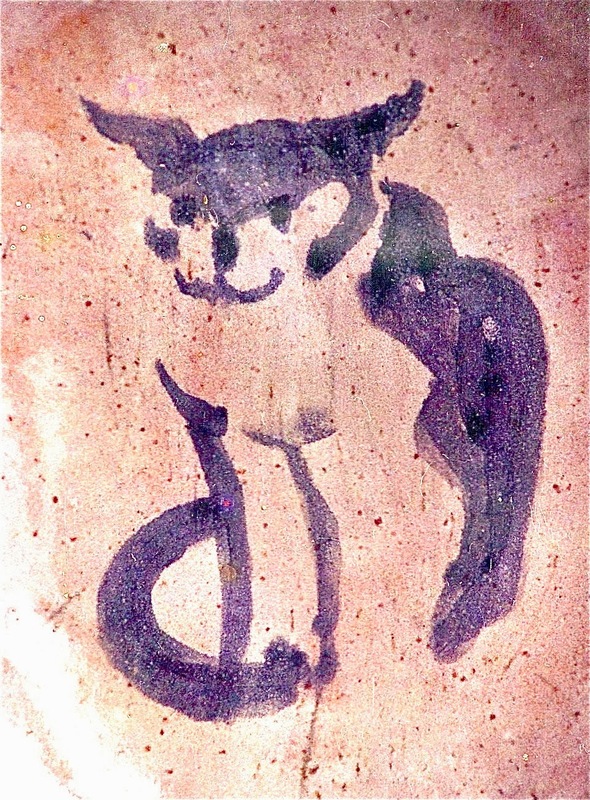 Angry Cat - Quick brush drawing using stain. Sorry I haven't posted anything for a while....Life has an uncanny way of interfering with, well, Life--- A lot of 'outer' life has interrupted 'inner' life for the moment and I don't have a full studio to work with yet..........let alone a full deck. We sold our house. And the building my studio was in. And we moved it ALL into a smaller house. Nuff said? I've been sorting, shuffling, packing, donating, unpacking sorting, moving, repacking, selling, ever since. You'd think I would lose some weight, wouldn't you? Come spring, it's going to be one big garage sale, I can tell you. So, in the meantime, I am doing some research and a lot of thinking and writing; just not a lot of art. Do I need to say it's a bit frustrating? I am, however, working toward getting a studio reassembled and also on designing renovations for the new house.